In December 2017, the FID for the Tyra redevelopment project was taken to ensure continued production from Denmark’s largest gas field. In July 2017, we agreed to sell our 45% interest in the Corrib gas project. The transaction is expected to be completed in the second quarter of 2018. We have a 39.23% interest in the Val d’Agri producing concession, operated by ENI. We also have a 25% interest in the Tempa Rossa concession operated by Total. The Tempa Rossa field is under development and first oil is expected in 2018. Production from the Groningen field induces earthquakes that cause damage to houses and other structures in the region leading to complaints from the local community. NAM is working with the Dutch government and stakeholders to fulfil its commitments to the residents of the area, including the payment of all earthquake related cost. 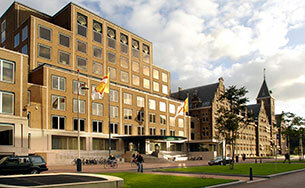 In addition, since 2013, the Dutch Minister of Economic Affairs and Climate Policy (the Minister) has set an annual production level for the Groningen field taking into account all interests, including that of the safety of the residents, the security of supply of the domestic gas market and the supply commitments to offtakers in European Union member states. 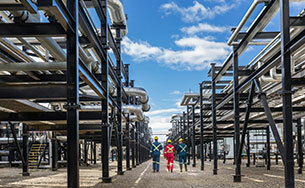 Production is capped at 21.6 billion cubic metres for the current gas year ending September 2018. In January 2018, an earthquake occurred that triggered the need for additional measures. The Dutch Mining Regulator has advised the Minister to further reduce the annual production from the Groningen field to a level of approximately 12 billion cubic metres. Before the end of September 2018, the Minister will take a decision on the production level for the next gas year based on all interests at stake. The level for the gas year ending September 2019 is expected to be lower than the current level. Apart from production reductions, a variety of measures have been taken by NAM, the Minister and the government, including an in-depth study and measuring programme (both sub-surface and above surface), the issuance of specific building regulations and the establishment of a damage claims handling process under government supervision. The Dutch government and the shareholders in NAM are in discussions regarding the future of their cooperation in production from the Groningen field. NAM also has a 60% interest in the Schoonebeek oil field, and operates a significant number of other onshore gas fields and offshore gas fields in the North Sea. We are a partner in 38 production licences on the Norwegian continental shelf. We are the operator in 17 of these, of which four are producing: the Draugen oil field (Shell interest 44.6%), the Gaupe field (Shell interest 60%), the Knarr field (Shell interest 45%), and the Ormen Lange gas field (Shell interest 17.8%). We have interests in the producing fields Troll, Gjøa, Kvitebjørn, Sindre and Valemon, where we are not the operator. 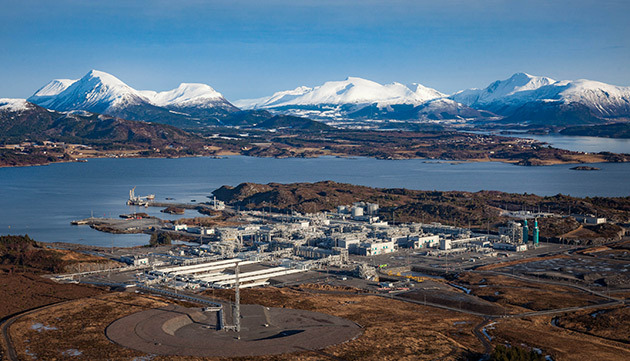 Nyhamna plant in Norway, where gas from the Ormen Lange field is processed. We operate a significant number of our interests on the UK continental shelf on behalf of a 50:50 joint arrangement with ExxonMobil. In addition to our oil and gas production from North Sea fields, we have various interests in the Atlantic Margin area where we are not the operator, principally in the West of Shetland area (Clair, Shell interest approximately 28%, and Schiehallion, Shell interest approximately 45%). In November 2017, we sold our interests in the UK North Sea assets Buzzard, Beryl, Bressay, Elgin-Franklin, J-Area, Everest, Lomond and Erskine fields and the Greater Armada cluster, as well as a 10% interest in Schiehallion. In January 2018, we announced the FID for the redevelopment of the Penguins oil and gas field (Shell interest 50%) in the UK North Sea. Discovered in 1974, the field was first developed in 2002. 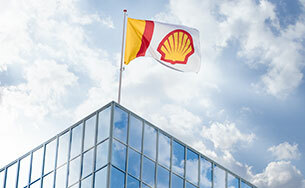 The decision authorises the construction of an FPSO, the first new manned installation for Shell in the northern North Sea in almost 30 years. The FPSO is expected to have a peak production (100%) of around 45 thousand boe/d. The field is in 165 metres of water, approximately 240 kilometres north east of the Shetland Islands.